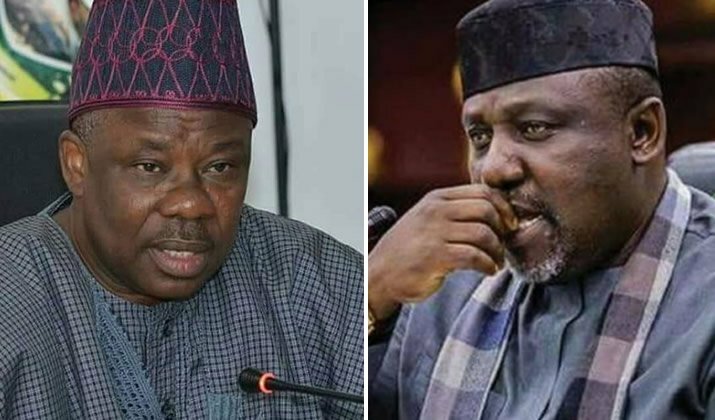 Despite a resounding victory in the just concluded presidential elections, the battles within the ruling All Progressives Congress, APC, seem far from over as the Party’s National Working Committee, NWC, has suspended Governor of Imo State, Rochas Okorocha and Ogun State Governor, Ibikunle Amosun. We learned that both politicians have also be recommended for expulsion from the party. This development was announced on Friday afternoon in Abuja after an NWC meeting. Okorocha and Amosun won senatorial seats in last Saturday’s National assembly elections. The suspension is coming shortly after both governors were accused of ‘Anti-Party’ activities following their support for Gubernatorial candidates from different parties.